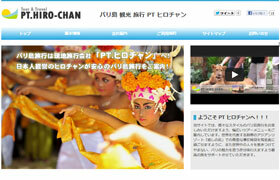 Bali Local Sightseeing Tour Agency HIRO-Chan Group offers Bali travel and information! Bali Sightseeing Travel main site of group. Reliable, friendly, low-price! Local Travel Agency. Introduce fun menu & plan for enjoy Bali trip with kids! High quality travel for you! Introduce selected gorgeous and luxury tour menu. Offer various menus for your Bali travel, popular menus and unique menus! For active girls, recommended menus for Girl’s Trip in Bali! Fabulous vacation in Bali!! We support young men’s free travel! Introduce enjoyable and cool plans! Introduce various romantic plans and menus for couple and husband and wife! Offer plans for Student Trip and Group Trip! Check out good deal for group tour! For all gentlemen… Introduce mature and complete plans for your great vacation! We develop many projects to make bound and cooperation between Indonesia and Japan. Business Association for progress of web business between Japan and Bali by member companies. Introduce fun information of activities in the wild nature and comments from reporters. Introduce useful information of activities in the marine-blue beautiful ocean and comments from reporters. Popular Spot Ranking in Bali! There are lots of hot information about sightseeing, shopping, and more! Categorize many interesting tours from famous tour to unique tour. Check out popular tour by ranking! Pleasure of travel is eating! Ranking and useful comments for restaurants and warung in Bali! Check out the popular spa ranking of many spas in the healing island Bali on real time! Many visitors are attracted by mysterious power of Bali. We support your long stay in Bali. Great news for residents in Bali! The small PS store sells PC made in Japan with reasonable price. Offer recruitment information of touring companies and reliable employment opportunities. Introduce special touring by cool bike, Harley Davidson and Buggy! Only one touring in the world! 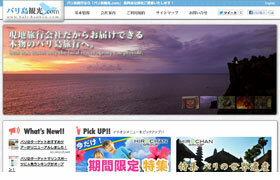 Welcome to HIRO-Chan Group sites that are leading by the local travel agency “PT. 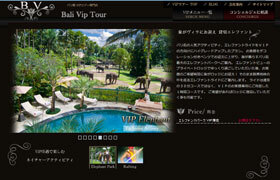 HIRO-Chan.” Base on your needs, we offer various menus for Bali trip and useful service for life in Bali.